Panelists speak about how they overcame challenges in male dominated fields. Local high school teams, Ohio teams, and distinguished athletes gathered at the Athens community center for Athens’ first celebration of national women and sports week. 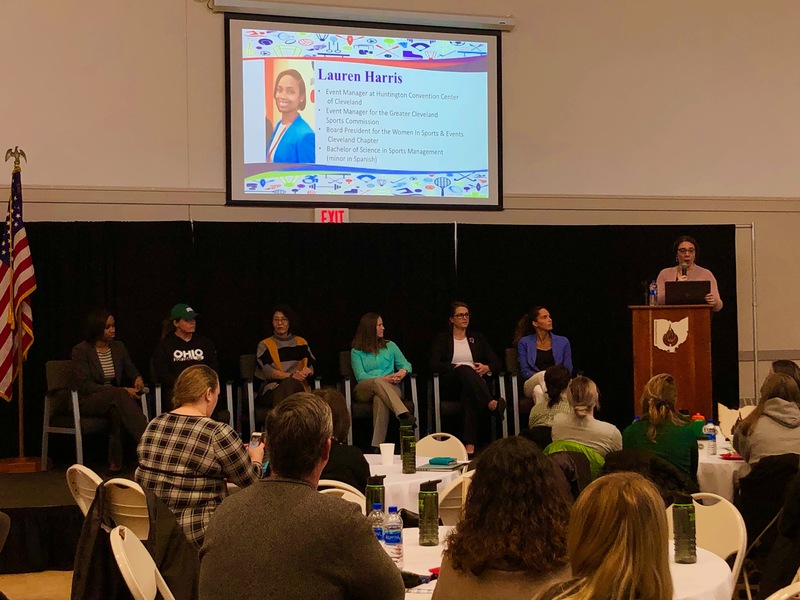 Women panelists from various backgrounds in sports spoke about how they have overcome obstacles in male dominated fields and what they are planning to achieve to better support women athletics. 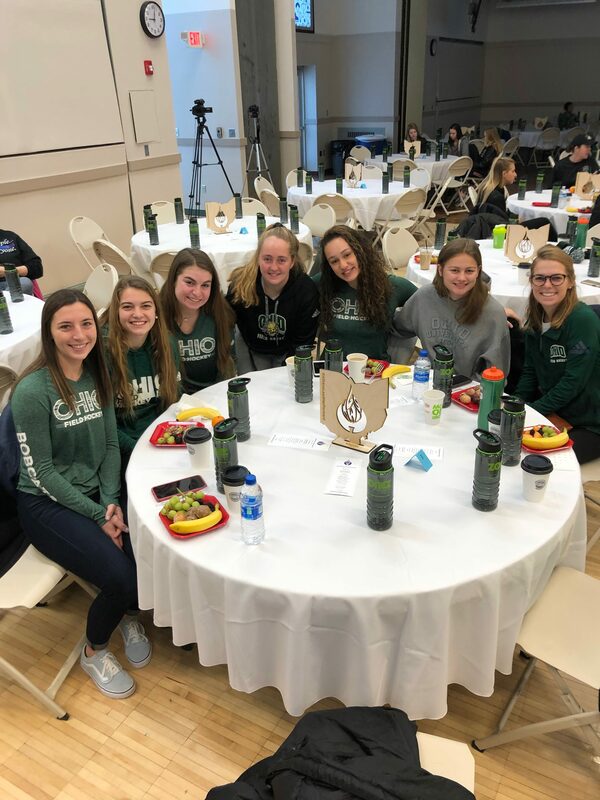 Members of the Ohio Field Hockey Team attended the celebration Saturday. Olympian, and member of the WNBA hall of fame. smith owed a lot of her success to the Logan community. “When I was up on that medal stand I was like, yep, Logan is with me. My 1st grade teacher, my 2nd grade teacher, my high school teachers, my classmates. 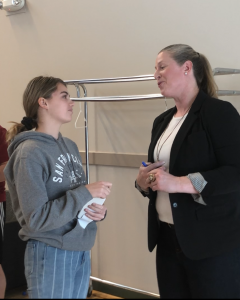 Smith said more people need to support women sports in order for female athletes and coaches to have equal pay and recognition with their male counterparts. Katie Smith speaks to a high school athlete about her basketball goals. 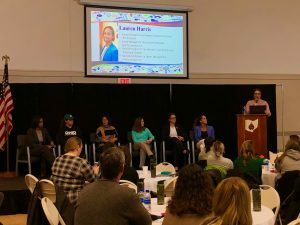 “We have to change our mindset and make it more normal and take value and speak up and say we should be watching this women’s basketball game. Put that on TV at the bar. put on ESPN 2. Athens mayor Patterson has made February 6th women and girls in sports day and hopes to grow it into something bigger. National Women and Girls in sports day began in 1987 to remember Olympic volleyball player Flo Hyman. Since then, it has grown to recognize all women and girls in sports.